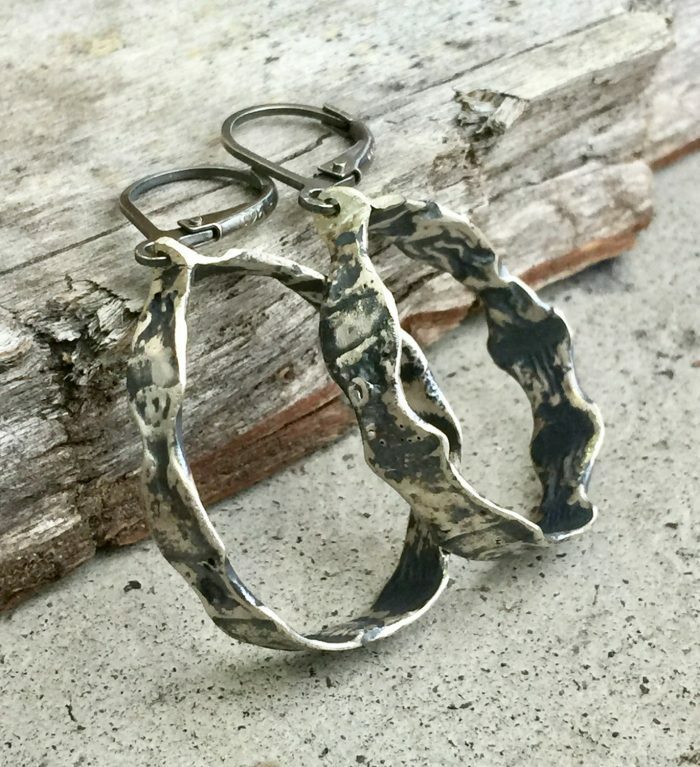 Silver Oval dangle hoops. 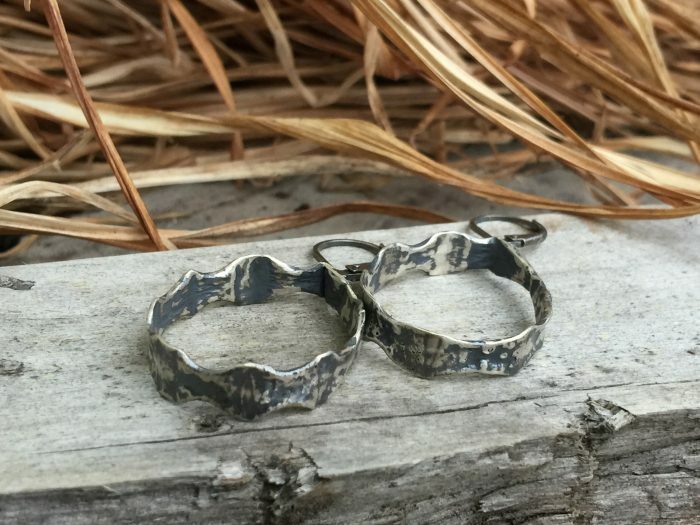 Reticulated texture gives these hoops the hill and valley edges. Very light weight with silver lever back ear wire.